Union Bank Credit Card offers you a hassle free and secured shopping experience at an assortment of outlets and websites around the globe. The card can also be used for cash withdrawals at ATM centres. Attractive spending limit is 20% of the annual gross salary. Lowest interest rates and maximum free credit period up to 50 days. Online Bill payment facility through internet banking account. 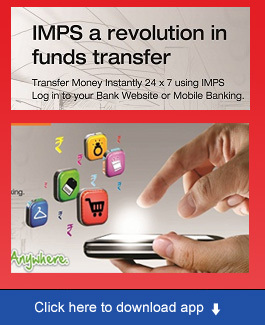 Secured transactions - SMS alerts on all transactions and 3FA authentication for all domestic online transaction. 24-hour hot listing facility and lost card liability restricted to Rs.1,000 from the time of reporting the loss. Usecure card is issued against term deposit and issued to those customers who do not have income proof/IT return/Student etc. Signature/Select Card comes with various benefit like free Airport Lounge access at Domestic /International airport, 4 reward points on Rs 100 spent and higher accidental benefits. Customers can also obtain credit card against Fixed Deposit in case of non availability of income proof. Fixed Deposit will be Lien marked till the card is in use. Corporate card Application (Link to the form) duly signed by the authorized signatory of the company. Board resolution for issuance of cards to its executives as named in the resolution and who can incur the expenses on behalf of the company to be charged to the company’s account. This card is issued only to Union Bank account holders with satisfactory income levels. Providing mobile number and email ID is essential. Get answers to frequently asked questions on Credit cards. 1. Whom shall I contact to know my balance in the Credit Card Account? Credit Card Call Centre 022-40426008 (charged) or 1800 223 222 (toll free) or General Call Centre (numbers at the top of this page) to know the balance in your credit card statement. 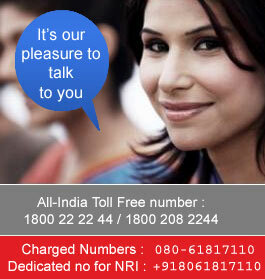 You can also call our help lines for any enquiries regarding your credit account. 2. What is a Credit Limit? The 'Credit limit' is the maximum amount you can spend or borrow using your Credit Card. This limit is determined by various personal details like your income, source of income, etc. 3. Does the add-on card have a separate credit limit? No, the add-on card member shares the same credit limit as assigned to the primary card member. 4. How can I pay my monthly Credit Card bills? You can pay your monthly credit card bill using your internet banking account. You need to login into your internet banking account and make the payment. You can pay your monthly credit card bill through any of the branches of Union Bank either through cheque or cash. However, outstation cheques are not accepted. The amount will be credited to your credit card account. You can provide standing instructions to the branch where you maintain your savings / current account to debit the amount of credit card bill to your account. The bill amount will be debited to your savings / current account and credited to your credit card account. 5. What should I do if I lose my card or it is stolen? 6. What is the revolving credit facility? Pay only the minimum amount due. Pay any amount ranging from the minimum amount due to the total amount. Should you opt for either of the last two options, then the unpaid amount due is carried forward to the next billing period. This is referred to as the revolving credit facility. 7. When do I start paying interest on new purchases if I am already revolving credit? 8. What happens in the case of a disputed card transaction? In the case of disputed card transactions, please submit the Request letter along with the charge slip(if any) to Union Bank of India, Credit Card Division, 708,Merchantile House, Magzine Street. Darukhana, Reay Road, Mumbai 400010. Email id : The Card Division will get back to you at the earliest with the status of your transaction. As per terms and conditions of issue of Union Card, in case of dispute of transactions, it shall be the responsibility of the cardholders to resolve the dispute with the concerned member establishment / merchant and bank shall not take responsibility for the same. However, Bank provides services for retrieval of charge slips / make charge back claim through Visa/Rupay, upon specific requests from the cardholders for a fee of Rs.100/- per transaction. 9. How are charges calculated for credit card transactions? Interest is calculated on Rs.1000 for 60 days (21.06.2010 – 20.08.2010). Interest is calculated on Rs.9000 for 50 days (01.07.2010 – 20.08.2010). Late payment fee of Rs. 200 is also charged. If you have made any purchase after the previous bill date i.e., after 21.07.2010, interest is charged on all transactions. No Interest is calculated on Rs. 1000. Late payment fee is not charged.